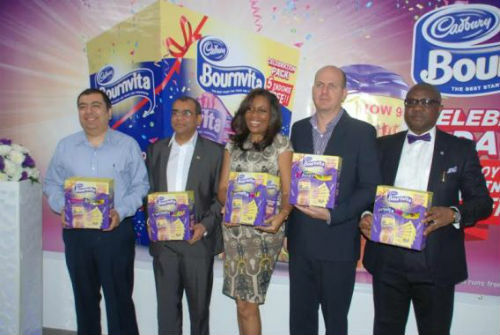 One of the most innovative and rewarding brand partnerships in recent times, leading beverage brand, Bournvita, from the stables of renowned beverage maker, Cadbury Nigeria Plc, has partnered foremost noodles brand, Indomie, for the Bournvita Celebration Campaign. The partnership aligns with Bournvita’s commitment to provide consumers with more value and nutrition. The Bournvita Celebration campaign is billed to last for 3 months; October till December. The campaign will see the introduction of specially designed Bournvita – Indomie celebration packs in the market. The coming together of these two iconic brands for this innovation is a remarkable development in Nigeria’s food and beverage sector. Speaking at the launch of the campaign at Cadbury’s office, Ikeja Lagos, Managing Director, Cadbury West Africa, Mr Roy Naaman, stated that both Cadbury and Tolaram have the same vision of providing nutritional vitality to families through their brands. He said, “We are joining the power of two iconic brands in the country. Bournvita and Indomie are leading brands who have decided to collaborate in order to provide more value to our consumers. We have two packs of 500 and 900 grams Bournvita which contain 3 and 5 packs of Indomie noodles respectively. Mr Naaman added that in today’s difficult economic clime, both brands believe in reaching out to consumers responsibly by providing great value. 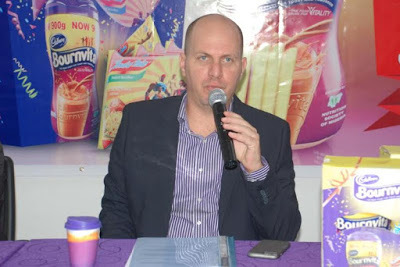 Also speaking at the event, Marketing Director Cadbury West Africa, Amir Shamsi reiterated that Bournvita and Indomie decided to go into the partnership to give more value to the consumer. He said, “This partnership with Indomie noodles will provide our consumers a double snacking experience with great value. Over the festive occasion of the next two months, we wish our consumers the very best snacking experience through our Bournvita – Indomie Celebration Pack”. Earlier, the Chief Operating Officer, Tolaram Group, Mr Pawan Sharma, who was present at the event, expressed his delight over the partnership which he described as innovative and ultimately rewarding for consumers. Meanwhile a statement issued by the Head, Corporate & Government Affairs, West Africa Mr. Bala Yesufu, noted that this synergy between these power brands would help set an industry standard for driving marketing innovation.